Some people are natural born chatters. 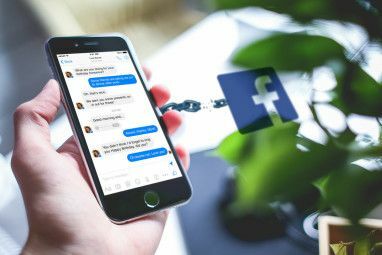 They have friends from each and every existing chat service and have to stay connected with their chatting friends all the time. 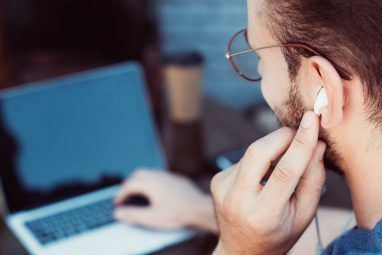 They don’t mind the trouble of having to open several chatting clients and manage them across several platforms. But life doesn’t have to be that hard. There are many multiple-platform chat application designed to help these people. Among those names, I personally think chatting with Nimbuzz is the best. It’s amazing how a good application could be so overlooked. I’ve chatted using Nimbuzz for years and there are so many things that you can do with it. Strangely, many of my friends have never even heard the name. If you are in the same boat with my friends, you could get familiar with Nimbuzz by checking out our older articles 5 Online Instant Messaging Services to Chat with Friends 5 Online Instant Messaging Services to Chat with Friends If you were an AOL Instant Messenger fan, don’t worry. There are still some worthwhile services available. Here are five to check out. Read More about it. 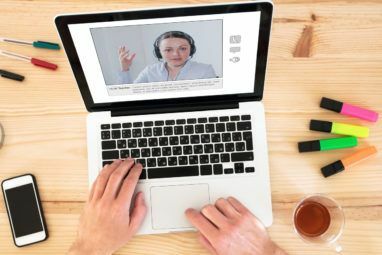 Nimbuzz is a free service that allows its users to access several instant messaging platforms simultaneously, make free calls to some internet voice services (Skype, GTalk, MSN), make conference calls, send messages, and much more. Nimbuzz is available as web based chat service, and as downloadable clients for mobile, Windows and Mac. Simply put, you just need to register with Nimbuzz, set all of your IM accounts once, and access all of them anytime, anywhere and from any platform or device using only your Nimbuzz account. Nimbuzz has just released the Mac version of its client as an addition to its several existing ‘personalities’. Here is the complete list of ways you can access Nimbuzz. Web: The most basic way to use Nimbuzz is by accessing the service via its web interface. Regardless of what device you use, as long as you are able to connect to the internet and have a browser, you can use Nimbuzz. This method is also perfect for Linux users because there’s no Linux client available for now.Go to Nimbuzz’s main page and log in. And you’re ready to blab. Get the download link via SMS: This method is very convenient. You will receive a text message with the download link. However, it’s a waiting game for some and not all cellular service providers are supported. Download it via your mobile’s browser: This is a more straightforward way. Just make sure that your mobile connection to the net is available. Download the client using your computer and install it to your mobile: Use this method if the other two methods failed. You need to know the brand and type of your phone. Windows: To download the client for your PC, choose the PC/Mac tab and click the “Download” button. This version of the client will work in Windows XP, Vista and 7. Mac: Previously, the only way to access Nimbuzz in Mac was using the web client. Now Mac users can access their Nimbuzz chat environment via the native Mac client. Upon installing, you’ll see your contacts in the main window. Those who are offline will be greyed out. You can start chatting with any one of your online friends by hovering your mouse over the name and click “Chat” from the pop-up window. You also can send files and contacts to your friends by clicking the “Send” button at the top right corner of the chat window. To enrich your chatting experience, you could add smileys to your message. They are available on the right side of the message input field. One feature that I found very useful is the ability to “Buzz” your offline friends. If they registered their account with their mobile number, they will receive a “call” from Nimbuzz. 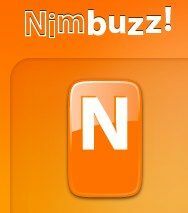 Nimbuzz has always been my chosen chat client on my mobile devices. Even though I’m not a chatty person, I prefer chatting via Nimbuzz instead of sending SMS because it’s cheaper. And now I love it more because of the availability of the Mac client. Do you use Nimbuzz? Do you know other alternatives? Share using the comments below. no linux = no good! I have used Nimbuzz on my phone few months ago. With this I can chat with friends easily.